As we close one year, another opens its arms in a warm embrace. 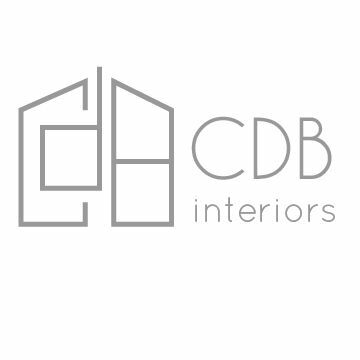 Entering into 2019, let's take a look at some of the top trends coming to us in the design world and how we at CDB Interiors are incorporating them in ongoing projects. We are partial to this delicious shade. It is as if cotton candy and a creamsicle had a baby, and this baby is coral. Not only is it our company color, coral is the crush of 2019. 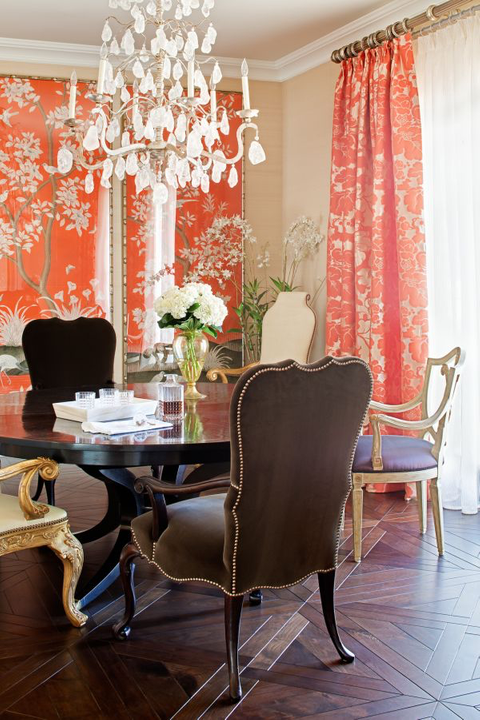 The darling of the design world this new year, we are seeing coral mixed with darker shades like charcoal and chocolate brown, as well as softer airy shades. Don't leave coral out if you are feeling bold either, she can come out pinky or orange depending on if you want a warm or cool tone to it. We particularly love this shade with gold and cream. 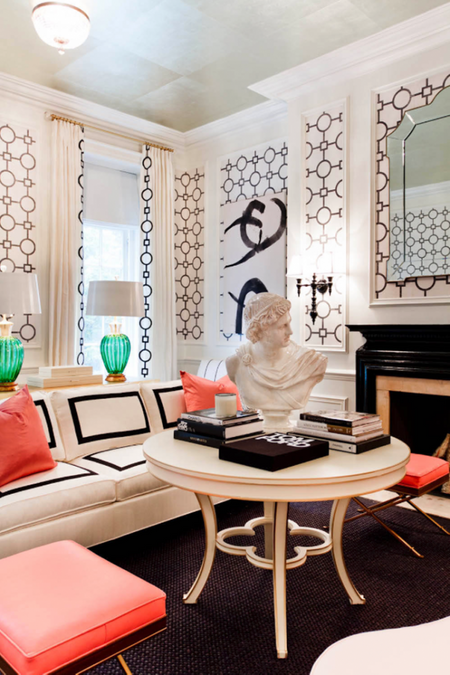 Where less is not more.....this is where we find ourselves in the new year and the design trends we adore. Go big and bold and don't turn back! Our review of 2018 proved that we love color, you love color, and we all want more of it. Bathe in hues and patterns that make you smile. 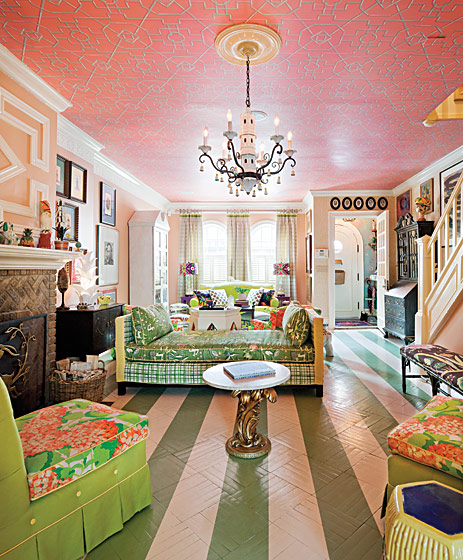 Paint the ceiling, add the bold draperies, and add a love seat with a fabulous print. The sky is the limit in 2019 with patterns and prints. 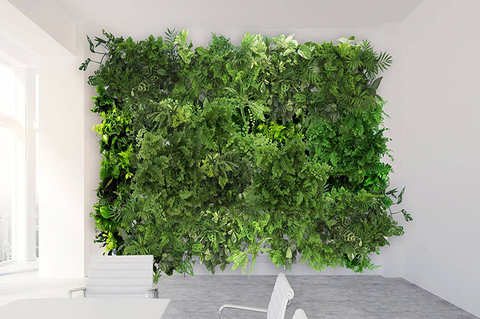 With the concerns about the environment, it is great to see new takes on decor that are easy on the eye while leaving little to no impact on the planet and its resources. At CDB Interiors, we believe green is nearly neutral and makes an easy addition to a space where something is missing. Adding real plants around the home help keep air clean and we love seeing the innovative ways people are going green in their homes. From hanging gardens to fiddle figs, we are all about going green in 2019. Made by a process of exposing and polishing, terrazzo is making a comeback in 2019. 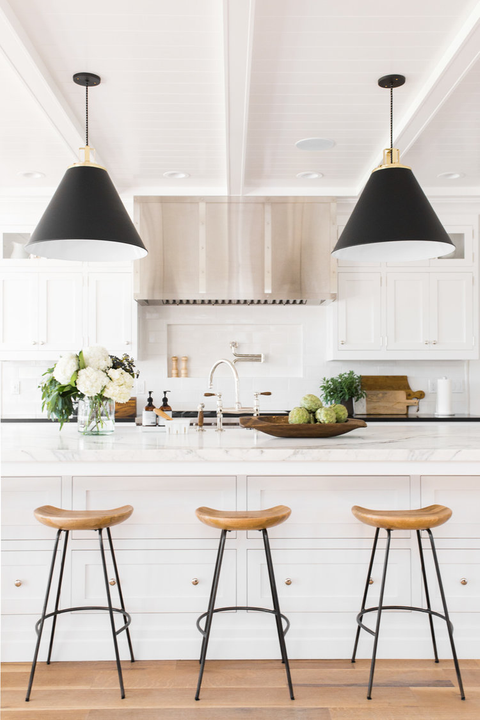 This sturdy and durable flooring option is popping up all over trends for 2019. These babies won't wear down either and you can purchase in the form of tiles or more intricately custom jobs. With a long history (think 9,000 B.C. 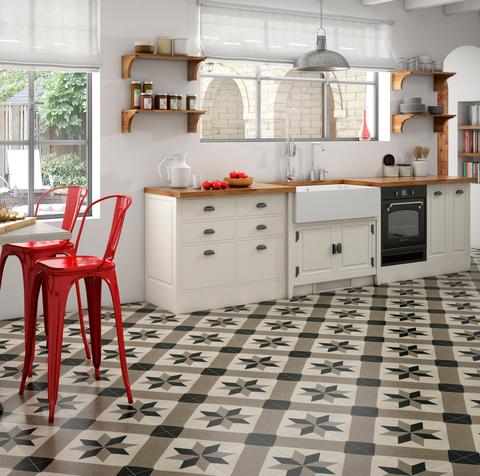 ), this flooring style is coming back luxe as ever and we can't wait to see how you choose to use it! Let it bloom, let it bloom, let it bloom. That's the song we are singing in 2019. Florals are blossoming and we couldn't be happier to see them as perennials, rather than a spring-time staple, solo. 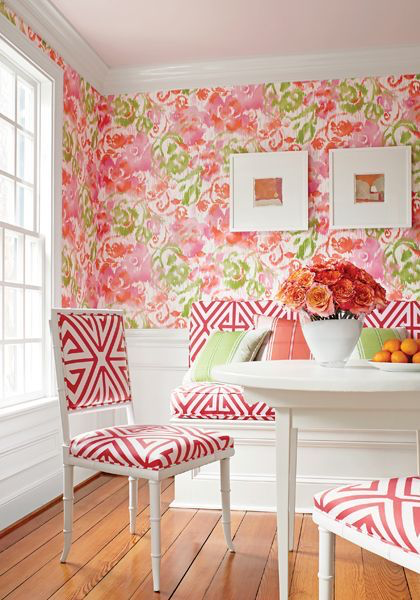 Fresh and countertop or in your wallpaper, florals deserve our attention. We are no strangers to love to acrylic, but this trend we were already crushing on calls for a committed relationship in 2019. Visually uncluttered and easy to merge the new with vintage, acrylic is making a big statement in 2019. Like white pants after Labor Day, once it was a one metal rule. Now, metals are best mixed and multiple. Different metal accents work together, instead of apart. 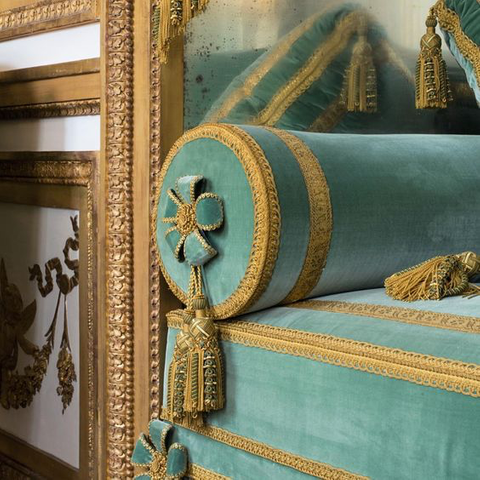 Gilded finishes should not be exclusive in their shade. The design world is seeing a lot of mixed finishes coming down the pipeline. How will you mix your metals? Lighten up, why don't we? In 2019, we sure will with lighter floors and even painted floors. 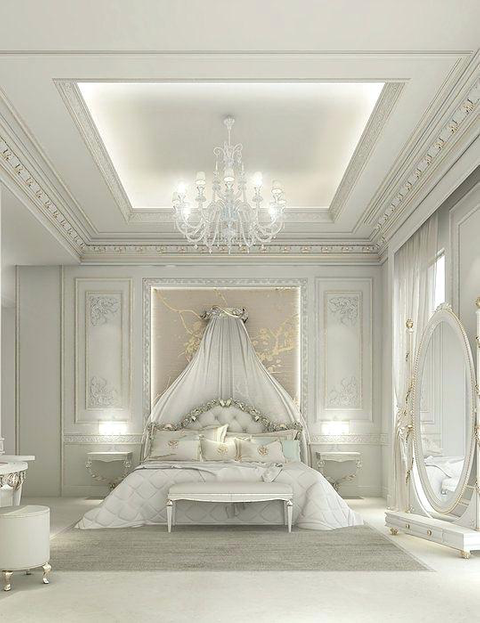 Like this heavenly room pictured here, we are into this calming retreat. These floors are making every space brighter and gives that calming effect we usually need a spa to find. Lighter floors make a space seem longer, larger, and reflect natural light beautifully. Elaborate and ornate trimmings are coming out in a big way in 2019. Tassels, fringe, pompoms, and rosettes unfold and we are seeing passementerie as a big trend in the new year. While subtle is sublime, sometimes a little extra is what we really need. Who doesn't want to sleep on a cloud? Or for that matter, walk and recline, on something fluffy? Plush bedding is obvious, but 2019 should be dubbed the year of comfort with all the dreamy design choices.